Four people are being treated for rabies after being attacked by a fox Friday in Brunswick, Maine. Four people in Brunswick, Maine are being treated for rabies after being attacked by a fox on June 27. Since June, there have been eight people and five pets attacked by rabid animals in the area. The USDA says it will airdrop oral rabies vaccine baits in the northern Maine woods to target wildlife after a recent rabies outbreak. Brooke Pisarsky had heard about the rabid animal attacks in her town but never thought the rabies epidemic would hit so close to home. On Friday, she heard her five-year-old daughter screaming, and ran out to pry a fox's jaws off of her little girl. In the chaos, the fox bit her too. "Hold your kids close," she warned. The fox attack did not stop there. A few doors down on Moody Road, Steve Imperato said the fox attacked two of his backyard chickens, the family dog, and his daughter's boyfriend. 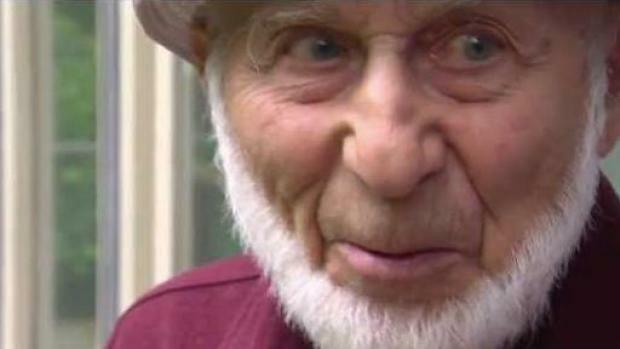 A 95-year-old Maine man recently had to defend himself against a rabid fox by using a wooden plank. Later that evening, and further down the road, Lativa Radi was sitting outside enjoying the weather when she suddenly realized something was wrong. "Something was running," she said. Moments later, a fox was at her feet. She now has scratches and bruises. Radi is one of four Moody Road residents getting rabies shots. "It's a little scary," said her next-door neighbor, Alex Hallet. He saw the fox "sauntering" across the yard, and called 911 when it ran into his woods. "I probably got 20 feet away, and it popped it's head out. I said I'm not messing with that fox," said Hallett. He is keeping a closer eye on his kids, now that he has learned the animal tested positive for rabies. "It was a very active afternoon," said Animal Control Officer Heidi Nelson. Her office has been inundated with anxious Brunswick residents since June. "People are panicking," said Nelson. Since June, there have been eight people and five pets attacked by rabid animals. Most have been foxes, but a few have been skunks. There have been attacks in nearby towns, but Brunswick appears to be the hot spot for rabies. "Be cautious, use common sense, don't allow children or pets to be outside unsupervised," said Nelson. The USDA announced this week it would be air dropping oral rabies vaccine baits in the northern Maine woods to target wildlife there. Nelson said that kind of approach may not work in Brunswick. "It's not really something they would do in a highly populated area," Nelson said. "They generally do that where they are trying to contain rabies from spreading where there isn't any rabies." Nelson said she cannot explain why the virus has hit her town so hard this summer. "I wish we had more answers for people," she said. Nelson is trying to set up a community rabies forum in the near future to continue to educate the public about the virus. Rabies is a fatal virus in both humans and animals. It is Maine law to have your pets vaccinated for the virus. Any person who comes into contact with a rabid animal should seek emergency medical treatment immediately.